Satisfy all of your cutlery needs with Cutco Cutlery, the largest manufacturer of kitchen cutlery in the United States and Canada. 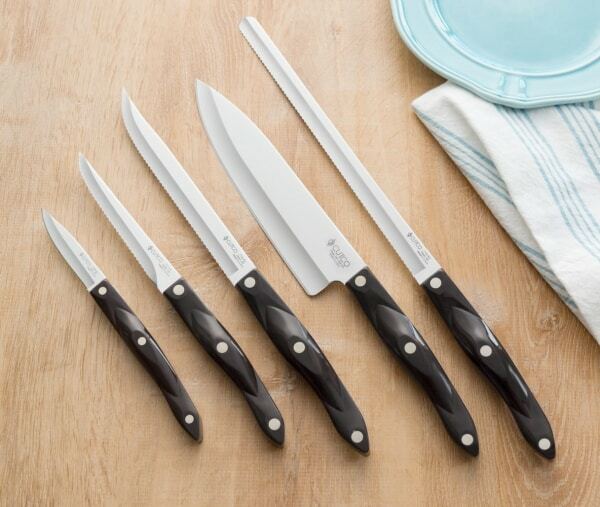 Cutco Cutlery’s expansive line of products includes culinary tools, BBQ tools, cookware, flatware, and so on! To pick up some kitchen tools yourself, check out their booth at the 2019 Premiere Market on April 5 & 6 at the Brazos Center!